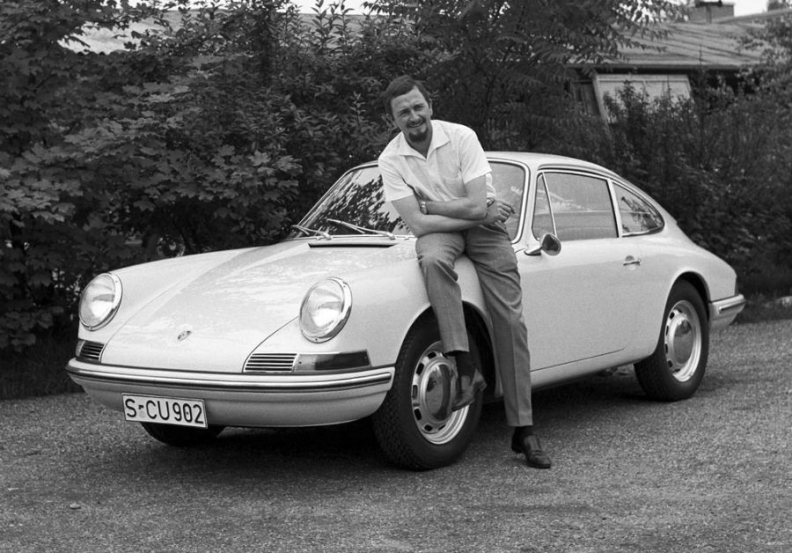 Ferdinand Alexander Porsche with the original Porsche 901, which later became the 911. BERLIN -- Ferdinand Alexander Porsche, the designer of the original version of the iconic 911 sports car, died on Thursday in Salzburg, Austria. He was 76. "As creator of the Porsche 911, he established a design culture that molds our sportscars still today," said Porsche CEO Matthias Mueller, in a statement. "His philosophy of good design is for us a legacy that we will also honor in the future." Ferdinand Alexander Porsche, the grandson of Ferdinand Porsche who created the original Volkswagen, designed the first 911 in 1962. He went on to develop race cars for the Germany automaker until leaving the Stuttgart-based company in 1972 with other family members, when Porsche was transformed into a joint stock company. Porsche unveiled the seventh generation of the 88,000-euro ($115,000) 911 in September. The 350-hp sportscar has a top speed of 289 kph (179 mph) and surges to 100 km in 4.6 seconds. "He was a very special man, and the company Porsche was his life and what he stood for," said Guenther Molter, who co- authored his father's Ferry Porsche autobiography. "He carried on the work of his father in his own way. He realized the Porsche 911, which was his idea." After leaving Porsche, Ferdinand Alexander Porsche founded the Porsche Design Studio, where he devoted himself to developing watches, eyeglasses, writing utensils and other design projects. He was a proponent of clear, austere lines. His credo was "design must be functional and the functionality must be visually implemented without gags that need to be explained," according to the Porsche statement. Ferdinand Alexander Porsche will be interred among close family members at a ceremony at Zell am See in Austria. A public ceremony will take place at a later date, Porsche said.